For some people pulling out their credit card at the checkout line of restaurants or grocery stores gets inconvenient and for some people being able to use their smart phones to make transactions add to their consumer value as mobile payments are a fast and simple way that makes checkout easier with just a tap of your phone. NFC enabled phones let you make payments by adding your bank account information on a mobile payment app and just tapping your phone on a terminal at the checkout line. Merchants help their consumers become part of the mobile commerce movement by letting them use their phones as wallets. In short making payments has never been easier. 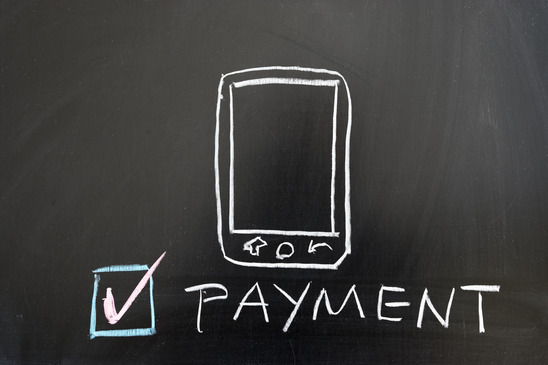 But the question remains are mobile payments secure? As far as Google wallet is concerned it seeks to provide consumers with mobile payment services that are secure. It lets customers store their credit cards, loyalty cards, gift cards and coupons all on their phones. You can just ring up the goods and ask the cashier if he has Google wallet facility available. If he has it available then have him activate his phone screen and tap it on the contact list reader. Google claims that paying with Google wallet is just as secure as paying with your debit or credit card. The app is protected by both pin and optional screen lock. On an NFC enabled phone payment information is encrypted and stored securely inside the phone never displaying full credit card details. So mobile payments are secure with Google wallet. Apple pay is supposed to make digital payments easier by turning your phone into a wallet. You’ll load your credit cards to the passbook app using the camera and then you can make NFC payments at more than 200,000 stores by just a tap of your iPhone. People have already been shopping online for a decade but Apple says its system is smarter and secure. Consumers will be able to make purchases through their phone just with their fingerprint. Google has fully embraced NFC with their Google wallet but excitement about new Apple devices may spur faster adoption. So how secure is Apple pay as opposed to Google wallet? Apple doesn’t store your credit card information instead it hides it behind what’s called a device account number. It seems a bit like a virtual credit card which banks have been providing for a while. This puts a layer between merchants and your personal information. But what if your iPhone gets lost? Would the thief be able to impersonate you at the checkout counter? First he’d have to spoof your thumbprints since Apple pay uses the touch ID fingerprint scanner in newer iPhones. You can also secure your lost phone using find my iPhone. Unfortunately there is a lot of speculation about Apple pay. It looks great on paper but no one has had the chance to attack it yet. If you not sure wheather your card have extra security and applicable for phone payments, visit https://www.53.com/content/fifth-third/en/personal-banking/bank/credit-cards.html for information and possible options to change card type. This entry was posted in Android, Hacking, iPhone, Mobile, Technology and tagged Are Mobile Payments Secured?. Bookmark the permalink.